Rio Negócios, the city’s official investment promotion agency, ends the cycle initiated with the selection of Rio de Janeiro as the host of the 2016 Olympic Games having attracted 62 projects, which in turn have injected R$ 9 billion in investments and over 16.500 new jobs. 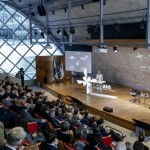 One of the agency’s main achievements during this Olympic cycle was the first GE Global Research Center in Latin America – a US$ 500 million investment installed at the UFRJ Technology Park. In addition to GE, multinationals from several sectors, such as Rolls Royce, IBM, Cisco, Microsoft, Nissan, Coca-Cola, FTSE, Lafarge, Emiliano, Ramada, Windham, Premier Oil and Columbia University were attracted to the city by Rio Negócios. Inspired by the London & Partners agency, Rio Negócios was created in 2010 from a public-private partnership between Rio City Hall and the Rio de Janeiro Commercial Association. Since its creation, the agency has systematized the investment promotion work through the use of Business Intelligence to identify opportunities and stimulate the creation of sector clusters in areas considered to be economic vocations (infrastructure, creative industry, energy, life sciences, financial services, technology and tourism) – as well as improving the city’s business environment. Promotional actions during the London Olympic Games (2012) and the World Cup in Brazil (2014) exceeded expectations. 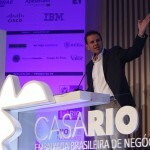 In both cases, Rio Negócios organized an edition of Rio Conferences – sector conferences – which had the participation of almost 2.000 companies. These actions attracted 14 investment projects to Rio de Janeiro. In six years of operations, the agency was also present at international sector events, with 20 roadshows in 14 countries. “We have already started planning for pos-2016. With the transformation undergone by the city, we have strengthened Rio’s attractiveness. Increases in port and airport capacities; new territorial areas with essential services (basic sanitation and transportation) and major potential for logistics, industry and commerce; as well as the maturing of the entire tourism supply chain. All of that makes us more optimistic for the post-Games work”, states Marcelo Haddad, president of Rio Negócios. Rio de Janeiro competed with six other cities from around the world. The agency was present throughout all implementation phases for the enterprise, a US$ 500 million investment in a 24 km2 area on UFRJ Technology Park which will house 400 high-level professionals by 2020. In addition, we acted in the development of the region’s Research and Development cluster, by attracting other companies such as Schlumburger, Baker Hughes, Halliburton, EMC, Siemens, BG and L’Oreal to be located alongside GE. Rio Negócios attracted to Rio a new unit of Atento, the largest customer relationship management company in Latin America. The new unit, located in the city’s West Zone, has 7.000 m2 of two-storied built area and will be responsible for 3.000 new jobs and 800 professionals already in training. That was possible thanks to Rio City Hall’s call center incentive policy, which has generated over 9.200 direct Jobs to the city since 2009, with investments of R$90 million. The official investment promotion and attraction agency of Rio de Janeiro, Rio Negócios identifies business opportunities, facilitates new investments and consolidates market intelligence for companies interested in installing themselves in the city. Rio Negócios is a non-profit agency born from a public-private partnership between Rio de Janeiro City Hall and the Rio de Janeiro Commercial Association. Executive with 17 years of experience in international companies such as Tyco – ADT Electronic Security, HSBC, Citibank and PepsiCo. In 2009, he began acting in the public sector, with the Economic Development Secretariat and, since 2010, with Rio Negócios. Bachelor of Law from Rio de Janeiro State University, with a specialization in Business Management from Harvard Business School.